Old civilizations had myths and stories to learn about the mysteries of life; we have movies. Movies are an important part of youth culture and as such are recommended to parents, teachers, and counselors as valuable tools in addressing the emotional and social needs of teens. Moreover, videos and movies have proven particularly effective in working with gifted children and adolescents. If you’d like to use movies as a bridge to talking about important life and developmental issues your teen is facing, you’ll find in this article how the strategy works, how you can guide the process, what questions you can ask, etc. We’ll also show you how you can use the Harry Potter stories to address the emotion of fear. Called video-therapy or cinematherapy by some authors, this strategy is similar to the more widely recognized approach known as bibliotherapy and actually, relies on its rationale and process. While reading a book or watching a movie, we initially experience identification, where we recognize similarities between ourselves and the characters in the story (in this case, a movie). Then comes catharsis, where we are touched by specific happenings in the movie and we react emotionally. Insight dawns when we realize that we’ve reacted emotionally because of a particular issue from our own life that we connected with the character or situation in the movie. Frequently, we’re not aware of why we are so moved, and that is where talking about it later can help us gain insight and integrate this new understanding into our life experience. Reflection on the movie and conversation about it afterward can also help us explore our needs, desires, fears, inner conflicts, patterns, values, aspirations, etc. Moreover, it can help us learn new coping mechanisms which we can then apply in solving our current life challenges. This is especially important for teens since apart from any inspiration or life lessons they might glean, certain movies can help reassure them they aren’t isolated and alone with their needs and problems. 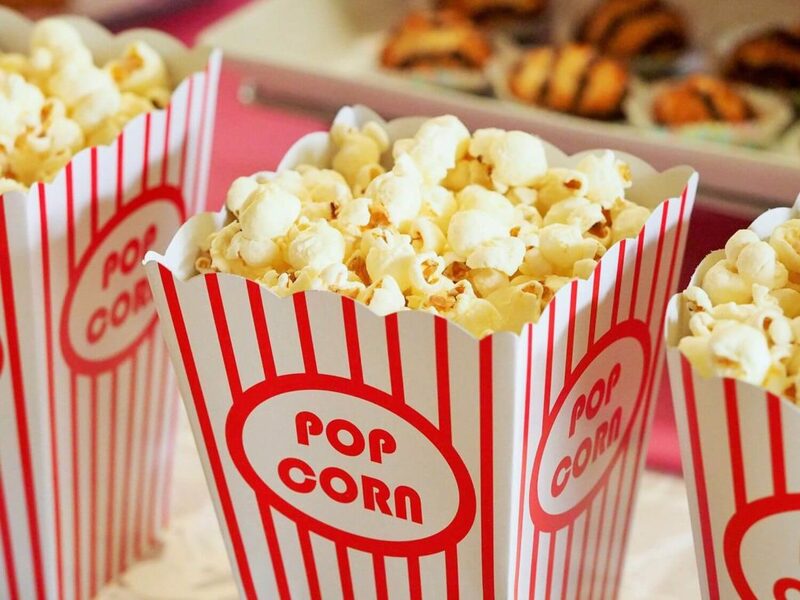 There are two ways you can use movies to boost teens’ social and emotional development. You can ask about a movie that had a significant impact on them and you can choose a movie to watch together – one you consider to be particularly beneficial for their development. What is it about this movie that inspired you so much? What did you learn from the movie? These may be basic questions but the experience of listening to your teen’s responses and opinions can be enjoyable as well as instructive. That’s how I found out from my teen niece (15), a valuable assistant in writing these articles, why she’s so inspired by the movies Whiplash (2014) and Cyberbully (2011). She aspires to achieve excellence in what she is good at – the movie cautioned that this drive may sometimes come at a cost. Her second choice showed her how our activity on social networks can affect the lives of others, the pitfalls of trying to satisfy our emotional needs through the virtual world, and the importance of true friends and family support. Besides, I found out about some applications popular these days among teens that I haven’t heard of before, so I think I’m now fairly well up to speed! Who is your favorite character? Why? Describe his/her personality and abilities. Do you find any similarities between this character and yourself? And differences? Does he/she have some traits or abilities that you would like to have, too? In which specific situations would you need these abilities? With these questions, you are opening a space to discuss your teen’s needs, troubles or aspirations and possibilities for development. Are there some characters that you disliked? What was it about them that you didn’t like? Are there people in your circle who have similar characteristics? How do you feel when you interact with them? Was there some situation in the movie that provoked strong emotions? What was it about this situation that made you sad/angry/enlightened…? Strong emotions are always in play when we reflect on something truly important and valuable to us. If you’ve been able to get your teen to talk about it, your efforts have been successful. Use this experience wisely. If your teen is open to role-playing, you can even use theater and improvisation techniques as follow-up activities. For instance, your teen needs more confidence in the classroom. Let him be a director and set up a scene that mirrors the real situation he wants to change. He can give roles to you, to other members of the family; even puppies, dolls, pillows, etc. Then, encourage him to imagine that he is like this chosen character, to take some of his abilities and to act, empowered, in the chosen scene. You can make variations together and have fun. Ask him how this acting made him feel and how he can apply it in a real situation. This tactic, especially when used with superheroes, has been extremely effective in the workshops for personal development that I run. Of course, these are just examples of questions and follow-up activities for guiding a process of learning from a movie. You will use the ones appropriate for the given situation and your teen’s sensibility and readiness to participate. The other way to use movies as a means of addressing the emotional needs of teens is for you yourself to select a movie which addresses particular themes or issues you consider significant for your teen’s development. Then, after watching the movie together, you can talk about it with each other, channeling the conversation to the themes most beneficial to your teen’s development. Let’s take the example of the Harry Potter movies, as most of us are familiar with the story. With all due respect to those who value its original written form, the motion picture adaptations can serve this purpose effectively. There are plenty of themes important to teens elaborated in the story of Harry Potter: friendship, life challenges, loss, failure, danger (even encounters with evil), the school environment, relationship with authorities, competition, fighting for a greater cause, etc. A particularly useful feature of the story lies in its exploration of the emotion of fear and more importantly, how one can handle it. This is always a timely topic, especially during adolescence with all its manifestations, such as low self-esteem, insecurity or anxiety. Harry Potter embodies all the characteristics of the hero, one of which is his ability to plumb the deeper and darker chambers of his being and squarely confront his fear. How to find strength in difficult times when we are vulnerable is an important lesson in preparation for adulthood. You can discuss with teens how Harry Potter and other characters reacted when faced with serious obstacles or dangerous, even evil creatures. When faced with danger, is their usual reaction more similar to Harry’s, Hermione’s, Ron’s, another character’s behavior, or some combination? Ask them to recall how fictional characters managed to handle dangerous creatures. What helped? Of course, you should always try to connect insights from the movie to the life of your teen and how he/she can incorporate those lessons into his/her life. What is particularly useful is that the Harry Potter story offers concrete strategies for handling fear. Yes, I’m referring to the Patronus and Riddikulus charms. As the story goes, these charms can protect you from dark creatures such as Dementors and Boggarts, who are nothing more than personifications of our fears. It is well known that a strong positive emotion, such as love, is an antidote to fear. Also, the presence of a trusted, loving person can calm the fear response. Seeking help from the spiritual realm, whatever our belief system, is invaluable, too. In a way, all these elements are contained in the Patronus charm, which works by evoking the happiest memory from one’s life and concentrating on it. Done correctly, this will create a positive force in the form of a sacred animal (totem), a spirit guardian, which will protect us from the scary Dementors. You can practice Expecto Patronum! with your teen so that each of you, using your imagination, can find a source of strength and support to help you fight the dark creatures of your life. Similarly, the Riddikulus spell is also a beautiful metaphor for a technique that is sometimes employed in a therapeutic session – the gift of humor. Humor is a powerful tool in fighting fear. When we are anxious and tense, there’s nothing better than a good laugh to immediately ease our distress. It’s good to be able to bring out the clown in ourselves to help us see a stressful situation from a funny, absurd angle. Practice Riddikulus with your kids when appropriate or let them teach you if you forget how to do it. The real “magic” is the strength the characters muster from the inside. This can apply to parenting as well. We are here to boost your real “ magic” of parenting. If you need any kind of advice related to the emotional development of your teen children, you’ve come to the right place! Hébert, T. P. & Speirs Neumeister, K. L. (2001). Guided Viewing of Film: A Strategy for Counseling Gifted Teenagers. The Journal of Secondary Gifted Education, Vol. XII, No. 4, pp. 224–235. If you need any kind of advice related to the emotional development of your teen children, you’ve come to the right place!